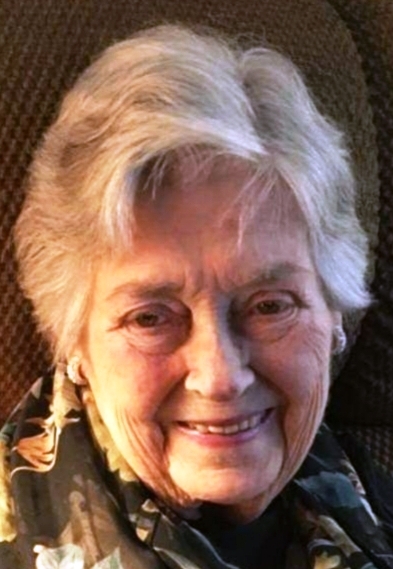 Kathleen Patricia Margaret Ryan Ivimey, 89, of state Route 22B, Peru, New York, passed away on Sunday, March 31, 2019, at home under the loving care of her family. She was born in Troy, New York, on Feb. 13, 1930, the daughter of John Joseph and Margaret Genevieve (Leonard) Ryan. Kathy often reminisced about 8th Avenue in Troy and her numerous aunts, uncles, cousins, nieces and nephews. She was very proud of her 100% Irish and Scottish heritage and was pleased to have had the opportunity to go Ireland and meet her Irish relatives. Kathleen was an avid reader and graduated from Catholic Central High School in Troy. She attended the State University of New York at Albany and graduated with a master’s in elementary education. Kathy taught in the Albany Capital District area in the 1950s. She took a break from teaching to raise her children. In the 1970s, Kathy volunteered at the Saranac Lake Chamber of Commerce and became involved with the Winter Carnival Committee, Alpo Sled Dog Races, Bathtub Races and many other community events. Kathy could always be found brainstorming at the post-Winter Carnival meetings held at BBLJ’s or “Back Booth Little Joe’s.” Kathy and her dearest friend, Sue Dyer, traveled to Egypt on an adventure of a lifetime that she spoke of often. She was “Jeopardy” champion of the family, and at one time she could just about come up with most answers and was available by phone to answer the odd fun fact. Survivors include her husband William H. Ivimey, whom she married June 19, 1959, in Grand Gorge. Together she and Bill built a home on Bovie Hill in Hoosick Falls. Kathy had three loving daughters: Beth Ivimey-Ashabranner of Peru, Patty Ivimey of Biglerville, Pennsylvania, and Peggy Ivimey of Saranac Lake. She dearly loved her grandchildren Jenn Ivimey, Ryan Aneki, Matthew Aneki, Christopher Ivimey, Sarah (Nate) Leopard and William Ashabranner. In addition to her parents, Kathleen was predeceased by her sister Marion Ryan Dolan and her brother John Leonard Ryan. A Requiem Mass will be privately held for the immediate family. Burial will be St. Joseph’s Cemetery in Troy at the convenience of the family. All family and friends are welcome to attend.